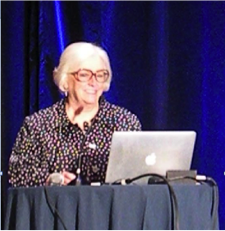 The AAAL president, Kathleen M. Bailey, reflects back on the Orlando conference that she chaired, and discusses her goals for this coming – to build on the efforts of her predecessors in realizing AAAL’s strategic plan and to continue to promote the concept of “Applied Linguistics Applied” – the 2016 conference theme. Read More. The 2017 AAAL conference chair, Tim McNamara, shares some highlights of the conference to be held in Portland, Oregon on March 18-21, 2017. This is going to be the third time for AAAL to be held in Portland, but there are a number of new features for this 2017 conference, organized around the theme of “Applied Linguistics and Transdisciplinarity”. Read More. Greetings from the Graduate Student Council! The transition of the AAAL Graduate Student Council (GSC) Steering Committee was completed at the 2016 AAAL conference held in Orlando, Florida. The new GSC Steering Committee, co-chaired by Lindsey Kurtz and Mengying Liu, will continue to work to best serve the interests of the AAAL graduate student members worldwide. Read More. 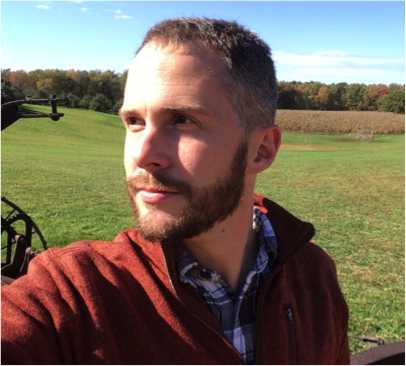 The third member to be featured in this column is Phillip Hamrick, Assistant Professor at Kent State University, who received the 2013 Graduate Student Award. He shares his reflection on the 2013 conference and discusses how the award has helped him launch his post-graduate career. To support our graduate student travel awards with a donation to the FFAL, click here. Read More. Members of the Executive and Standing Committees change every spring. The article introduces newly appointed chairs of the Standing Committees. On a related note, please remember to cast your vote for this month’s election! Read More. Now that the 2016 AAAL Conference in Orlando is history, I am eager to move forward with AAAL activities. I’ve been told that it is appropriate, in this June issue of the newsletter, for the new President to write about the goals for his/her presidency. There are several such goals, but two over-arching philosophical goals are to build on the efforts of my predecessors in realizing AAAL’s strategic plan, and to continue to promote the concept of “Applied Linguistics Applied” — the theme of our recent conference. That is, although I do not by any means wish to overlook the importance of theory in our field, I do want to emphasize the many ways in which our knowledge and skill sets can address important problems in our modern world — particularly the “language-related concerns” mentioned in the AAAL mission statement. The 2016 AAAL Conference began with the grand opening of the publishers’ exhibit. AAAL President Paul Matsuda was on hand to welcome the guests and cut the ceremonial purple ribbon to the exhibit hall. Paul had just begun his brief remarks about the importance of the publishers in our field when a sudden commotion arose in the grassy expanse of the huge patio outside the exhibit hall. The conference goers were surprised to hear loud music and to see an elephant — a real, live elephant, bedecked in red and gold cloth draperies and sporting a red, blue and gold parasol shading the bride and groom riding on his back. Apparently a traditional Indian wedding was scheduled in the patio area at the same time our first conference event was beginning! Remembering the surprising image of the elephant on the patio reminded me of the saying about “the elephant in the room.” This idiom refers to something huge and obvious that everyone wants to ignore and would prefer not to talk about. According to Wikipedia, this expression began with a scene from a fable by the Russian poet, Ivan Andreevich Krylov. The story was entitled “The Inquisitive Man” and it talks about a person who notices many small and interesting things as he visits a particular museum, but somehow does not see an elephant there. Later, Dostoevsky refers to the character, Belinksy, in his novel Demons, by saying that he was “just like Krylov's Inquisitive Man, who didn't notice the elephant in the museum...”. Later the saying evolved to include the part about a tacit agreement not to talk about the elephant-sized issue, whatever it might be. I don’t think that we, as an association, have any elephants in our organizational living room, but there are a few grazing just outside the door. In my view, here are some of the key issues we need to be aware of and communicate about during the year ahead. First, we need to be more explicit and transparent about what it is that we do. For instance, in 2016, Tim Marquette, the Assistant Conference Chair, and I asked each of the Strand Coordinators to write a paragraph explaining what his/her particular strand covered, so that people submitting proposals — especially those submitting proposals for the first time — would have some guidance about which strand would be the best fit for their ideas. I am delighted to see that Tim McNamara, the 2017 Conference Chair, is continuing to use these strand descriptions. This is just one example. There are also policies that need to be clarified in the coming year, so that all AAAL members can understand how the association functions. Second, as an association, we need to communicate with people in related organizations as well as people entirely beyond our field. In terms of the former, members of the Executive Committee have begun exploring ways we could productively engage with other organizations for our mutual benefit. The 2016 conference featured Invited Colloquia representing TESOL, the American Anthropological Association, and the International Language Testing Association. As for the latter, there was a Professional Opportunities Session at the conference about communicating with the media and an Invited Colloquium on health literacy as well as one on applied linguistics in the courtroom. We also have a new “Outreach Award Committee,” whose members will be working to acknowledge work by a non-AAAL member that raises public awareness of important social issues involving language. I’m grateful to Aneta Pavlenko for agreeing to chair this new committee. Third, I am delighted that the association has recently formalized the rights and responsibilities of the Graduate Student Council (GSC). The role of graduate student members of AAAL is very important, and I’m pleased to say that about 40% of the 2016 conference attendees were registered as students. The GSC leaders were very active in planning segments of the conference and communicating about it with their members. In fact, collaborating with Nicole Pettitt and Daniel Ginsberg on the GSC components of the conference was a wonderful experience, and I look forward to working with GSC Co-Chairs Mengying Liu and Lindsey Kurtz throughout the coming year. As an association, however, I believe that we need to do more to support our graduate student members, by offering mentoring on publishing, leadership, and submitting effective conference proposals. This goal also includes individual AAAL members donating to the Fund for the Future of Applied Linguistics (FFAL) – the foundation which provides the annual Graduate Student Awards for outstanding conference proposals. In closing, let me say that I look forward to working with my colleagues on the Executive Committee and our wonderful professional management team in the months ahead. I hope that during my presidency, AAAL will move ahead with the broad goals listed above. Let’s keep the elephant — as mystical and amazing as he may be — on the patio, but recognize his presence nonetheless. The 2017 meeting of the American Association for Applied Linguistics will be held at the Portland Marriott Downtown Waterfront in Portland, OR on March 18-21, 2017. It’s our third time in Portland — previous conferences were held there in 2004 (Conference Chair: Jim Lantolf) and 2014 (Conference Chair: Aneta Pavlenko). Eco-friendly Portland is a great city, famous for its hipsters, its food, its microbreweries and coffee places, its music, its literature, and its general cool. It’s a very walkable city and the conference location is ideal as a base for exploration. The timing and location of the conference are convenient if you are planning to get to related conferences at that time. AAAL 2017 is immediately before the TESOL International Convention in Seattle, which runs from the evening of March 21 until March 24. Seattle is around 180 miles from Portland, and travel times are around three hours by car or three and a half hours by train. Immediately preceding AAAL is the annual convention of CCCC (Conference on College Composition and Communication), which is being held in Portland from March 15 to March 18. AAAL always has an international flavor, both in its presenters, and in its membership (about 30% of members are based outside North America). Having for the first time a conference chair based outside North America is another significant marker of the international character of the organization. I feel honored that the Association has entrusted me with this role. PLENARY SPEAKERS: The theme of the conference is “Applied Linguistics and Transdisciplinarity”. Transdisciplinarity emphasizes the contribution that multiple disciplines may make, from their own separate disciplinary bases, to the understanding of common problems or issues. This theme is the organizing intellectual frame for current SLA research, according to the Douglas Fir group in the centenary issue of the Modern Language Journal this year. And it draws attention to the work on language being done outside applied linguistics, particularly within the humanities, which has relevance for our field. Thus, three of our plenary speakers are drawn from fields outside applied linguistics, in the humanities and computer science. Shaun Gallagher is a leading phenomenologist, and works on cognition and embodiment. Phenomenology is the philosophical basis for much current work in applied linguistics, particularly conversation analysis (CA) (see http://www.qualres.org/HomePhen-3590.html) and studies of embodiment in interaction more generally; it has also inspired many of the qualitative research methods in our field. Carolyn Miller is the leading exponent of rhetorical genre studies, one of the three schools of genre studies that have had such an important influence on our field. Janet Wiles works on the role of language in human-machine interaction, and the language capacities of robots. The other three plenary speakers are eminent applied linguists. Suresh Canagarajah will also be exploring, in a talk entitled “Spatiolinguistics”, the relevance of recent work on language in associated fields such as geography, this time for the field of languages for specific purposes. Li Wei will address important theoretical developments in the notion of translanguaging; his book on translanguaging, with Ofelia García, recently won the British Association for Applied Linguistics best book award. Finally, one of the leading European researchers on Second Language Acquisition, Simona Pekarek-Dohler, will explore how interactional competence in a second language develops over time, using CA as a methodology. INVITED COLLOQUIA: Invited colloquia and joint invited colloquia allow in depth exploration of themes and issues in a range of fields. The joint AILA@AAAL colloquium focuses on the conference theme of Transdisciplinarity. Other colloquia focus on a range of contemporary social issues involving language: language and asylum (AAA@AAAL); indigenous language education (LSA@AAAL); language and sexuality. In the core field of second language learning and teaching, there are colloquia on creativity (TESOL@AAAL), the role of video games, specific purpose language assessment (ILTA@AAAL) and the legacy of Leo Van Lier’s ecological approach to language teaching (the subject of the annual pedagogy colloquium organized in honour of the first President of AAAL, Wilga Rivers, a fellow Australian). Others focus on methodological issues in ethnography and CA. SHARED SHORTER PAPER SESSIONS: We are introducing an additional format for presentations this year, Shared Shorter Paper sessions. Conferences in many other academic fields limit presentations of full papers to a maximum of ten minutes; paper sessions are thematically linked. This has some advantages: it encourages conciseness and focus; it allows more papers to be accepted; and it allows more time for discussion. A limited number of slots on the program at the 2017 conference will be made available to try out this new presentation format. Sessions in this format will consist of three TEN-MINUTE ONLY PAPERS within a one-hour time slot. The three papers will be presented in the normal way, each with one or two minutes for clarification questions, followed by up to 30 minutes of discussion. We’re interested to see how this goes. One further advantage of this format is that it allows us to accept more papers in the program — this is important for presenters who can only get funding to attend the conference if their proposal is accepted as a paper rather than a poster or as part of a roundtable session. ROUNDTABLE SESSIONS: We are also making changes to how the roundtable sessions are run. Sessions will be thirty minutes long, like paper sessions, with two presenters assigned to a table in each session. Each presenter will be allocated 15 minutes: eight minutes for speaking on his/her topic and seven minutes for group discussion. We encourage roundtable presenters to prepare handouts or laptop PowerPoint slides to accompany their presentations. MORE STRANDS: We have increased the number of strands in which papers will be accepted for 2017. We have a new Vocabulary and Lexical Research (VOC) strand, and have revived the Language Maintenance and Revitalization (LMR) strand. PRE-CONFERENCE WORKSHOPS: The very successful pre-conference workshops, held on the day before the conference opened, will again be a feature of next year’s conference. We will be announcing the topics of these workshops and details of how to register in the next few weeks. PROPOSAL SYSTEM ALERT – DON'T LEAVE IT TO THE LAST MINUTE! The Call for Proposals is out now. The proposal submission system opened on June 1, 2016 and the closing date for receiving proposals is August 17, 5:00 pm Eastern Daylight Time. This is an absolutely firm deadline, and no exceptions can be made to it. Access to the proposal system is via the membership database for AAAL. So to submit a proposal you will either need to be a member in good standing, or create a guest membership. If you need to update your membership, or create a guest account, it takes time (up to 48 hours) for any changes to be registered in the system, which may prevent you submitting your proposal on time. So please don’t leave clarifying your membership status and your proposal submission to the last minute… it may be too late! I’ve been helped in the choice of plenary speakers and invited colloquia by my colleagues at Melbourne, Neomy Storch, Janne Morton and Julie Choi. The Associate Chair is Marco Espinoza, who is also the Strand Coordinator Liaison. Marco, from Chile, is doing a PhD at Melbourne on bilingual education in an indigenous community in southern Chile. Trent New man and Ivy Chen, also graduate students at Melbourne, are helping in the detailed planning and administrative work of getting the conference ready – sending out the Call for Proposals, organizing the reviewing of abstracts, and preparing the detailed conference program. They’re also gently teaching me the basics of Twitter, Facebook, Instagram and program apps… You’ll meet all these great team members in Portland. Looking forward to seeing you at AAAL 2017! The Conference Planning Team Photo: (left to right) Tim McNamara, Marco Espinoza, Neomy Storch and Janne Morton. On April 11, 2016, the transition of the AAAL Graduate Student Council (GSC) Steering Committee was completed in Orlando, Florida. The new GSC Steering Committee will continue to work to best serve the interests of you, the AAAL graduate student members, worldwide. Our team aims to support graduate student members’ academic and professional development; to foster closer inter-institution, student-student collaboration, and networking opportunities with scholars; to increase leadership and service opportunities for student members; and to promote ethnic, cultural, and academic diversity within the field. Following the steps of the previous GSC Steering Committee, led by Co-Chairs Daniel Ginsberg and Nicole Pettitt, the top priority for the 2016-17 academic year is to create more service and leadership opportunities for the graduate student members. We envision working to increase the graduate student engagement in AAAL through activities such as conference volunteering and event planning. We will also work on planning graduate student events at AAAL’s 2017 meeting in Portland, Oregon. Our long-term priorities include establishing online avenues for outreach to student members who may not be able to attend the conference in person. The new GSC Steering Committee is eager to work collaboratively with the current leadership of the AAAL Executive Committee led by Dr. Kathi Bailey to best represent the interest of the AAAL graduate student members! We would like to thank the previous GSC Steering Committee, in particular Co-Chairs Daniel Ginsburg and Nicole Pettitt, for their commitment to the interests of student members of AAAL and their tremendous help in the GSC Steering Committee leadership transition. Finally, please connect with us through Facebook (https://www.facebook.com/AAALGrad), Twitter (https://twitter.com/AAALGrad?lang=en) and Instagram (AAALGRADS). And also please feel free to contact us via a private message on our Facebook page: https://www.facebook.com/AAALGrad or email us at grad@aaal.org if you have any questions or comments. We look forward to hearing from you! The GSC Steering Committee photo: (left to right) Elena Shvidko (Purdue University, Member at Large), Laura Hamman (University of Wisconsin-Madison, Secretary), Mengying Liu (University of Minnesota, Co-chair), Lindsey Kurtz (The Pennsylvania State University, Co-chair), Rayoung Song (University of Massachusetts, Amherst, Member at Large). In 2013, I was a Ph.D. student at Georgetown University. I had gone to some AAAL conferences starting back in 2009 when I could afford it. Even then, when I was unable to go to an AAAL conference I really felt as though I were missing out on new research and new opportunities for networking. By 2013, I was finishing up my Ph.D. and applying for jobs, so it seemed especially important to get to another AAAL. My advisor, Alison Mackey, suggested I apply for a Graduate Student Award, and needless to say—because I am here writing this—I received it. For many people, conference budgets are always on a knife’s edge between doable and out of reach. The award most certainly helped make that conference possible. But looking back, I don’t think the greatest benefit of the award was the funds. I think the greatest benefit was the recognition. There are a lot of people at AAAL every year. A lot. Tons. How does a graduate student stand out among the throng of other graduate students? I believe the Graduate Student Award really helped. Now, I’m not sure how many people flip through their conference programs eagerly hunting for the Graduate Student Award section, but a lot of people do go to the plenaries, and having the award winners come up to the stage and have their names announced there seems to have helped. I believe that the publicity of the Graduate Student Award was a big part of the packed audience that I had at my actual presentation the next day. Of course, then you have to deliver the goods. You’ve won an award and people are there to see why. So there I am, minutes to go before my presentation, when two of my early academic heroes walk in: Nick Ellis and Jan Hulstijn (well, I say “walk,” but Jan rolled in on a motorized scooter—fast, too, nearly knocking over the table holding the projector). Having academic heroes in the audience is a terrifying experience. This is your big chance to impress them. Not only can you not drop the ball, but you can’t pass it, and you can’t call time out. You have to shoot and score. As it happens, the presentation went great, but that’s not the point. Recall that I was on the job market at this time. Two weeks after AAAL, I gave a job talk at Kent State University, where I am now a tenure-track assistant professor. The same feelings of terror grip you in a job talk, too. In some small way, I feel like the presentation ended up being the preamble to the job talk. The Graduate Student Award was thus important in many ways. It helped me travel when I otherwise couldn’t. It gave me a bit of recognition, and in some ways it prepared me a bit for the job market. But the award itself is just a microcosm of my broader experiences at AAAL conferences. I go to AAAL as often as possible because good things happen when I do. I get excellent feedback and constructive criticism, see new ideas emerge, make all kinds of new connections with others, and going to the conference has made my academic heroes list longer—and because of conference experience I now get to collaborate closely with my heroes. I suppose at the time, I thought of the Graduate Student Award as the culmination of something—maybe accumulated work during graduate school. But I see it differently now, and perhaps in the way that it was intended—as recognition of the beginning of potentially an excellent career in applied linguistics. PS. When I go to AAAL now, I am one of those people who seek out the Graduate Student Award winners and go to their talks. I want to see their beginnings. At the annual conference in Toronto, Aneta Pavlenko (Past President) and Scott Jarvis (Member at Large) completed their term as members of the Executive Committee. Under Aneta’s leadership, a number of new initiatives (e.g., Promotion & Tenure Guidelines, new awards) have been accomplished. Scott has also provided much needed support for the initiatives by serving on the Virtual Communities Task Force and the Book Award Committee. The Executive Committee thanked the two for their tremendous contributions, and in turn welcomed Linda Harklau (Second Vice President) and Steve Thorne (Member at Large) as its new members. James Lantolf (The Pennsylvania State University) is the new chair of the FFAL Board of Trustees. Fredricka L. Stoller (Northern Arizona University), a member of the last year’s Nominating Committee, will chair this year’s Nominating Committee. She will be joined by four members to be elected this summer and Paul Kei Matsuda (ex officio, Immediate Past President). Christina Higgins (University of Hawaii at Manoa) is the new chair of the Distinguished Scholarship and Service Award (DSSA) Committee. Lynn Goldstein (Middlebury Institute of International Studies at Monterey) has been appointed as the new chair of the Graduate Student Award (GSA) Committee. The Book Award Committee and the Dissertation Award Committee will be chaired again by Francis Hult (Lund University) and Jamie Schissel (University of North Carolina at Greensboro) respectively. Lourdes Ortega (Georgetown University) has been appointed as the chair of the Research Article Award Committee. Aneta Pavlenko (Temple University) will chair the inaugural Outreach Award Committee. Last, but not least, Fabiola P. Ehlers-Zavala (INTO Colorado State University) has been appointed as the new newsletter editor. She will begin her work, starting the September 2016 issue. This month’s election determines future members of the leadership team, including Second Vice-President, Secretary-Treasurer, Member at Large, FFAL Trustee, and members of the Nominating Committee and Outreach Award Committee. Please cast your vote by 11:59 PM Eastern Daylight Time on July 11, 2016. In order to verify membership, log-in is required to vote. The September issue of the newsletter will feature newly elected members.